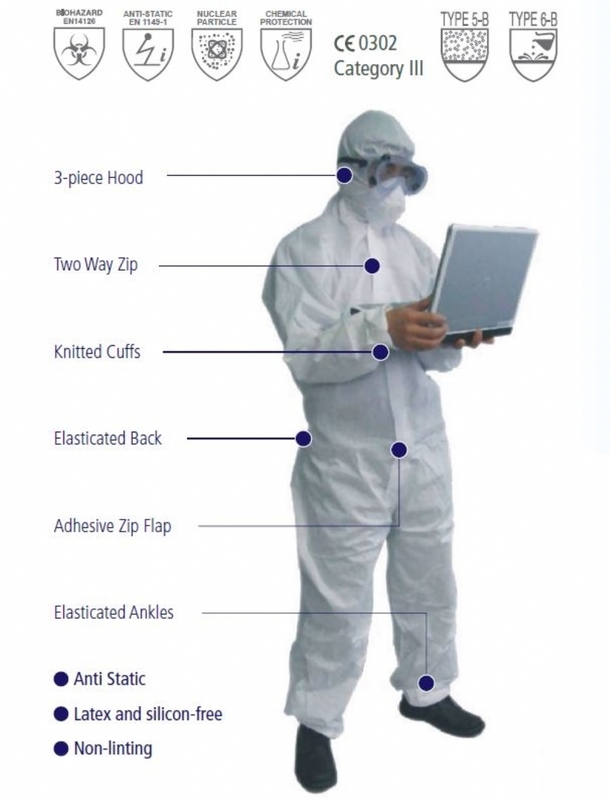 The Chemsplash™ Coverall is made from a microporous laminated Cat III Type 5 & 6 fabric. It’s soft and comfortable whilst maintaining an excellent chemical and hazard barrier. Chemsplash™ fabric is anti-static to EN 1149-1 2008 and non-linting, therefore ideal for use in wide ranging applications where the operating environment must not be contaminated with garment fibres.